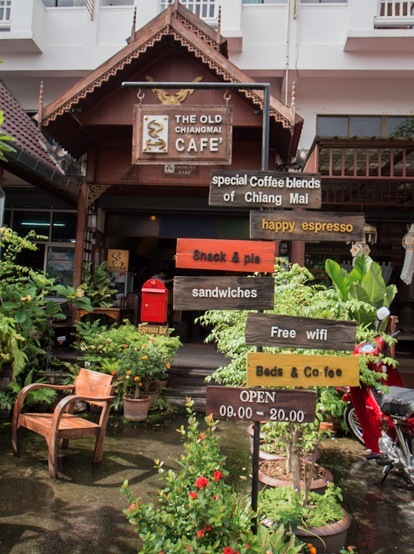 After visiting all these temples we got tired and headed for a quick, refreshing coffee at an amazing place: The Old Chiang Mai Cafe is tucked away in a side street, 127 Rajapakinai Road, but it is easy to find. It’s small, with just a few seats inside and outside. We just missed a short rain shower, so we headed inside for the dry seats and some really good coffee. 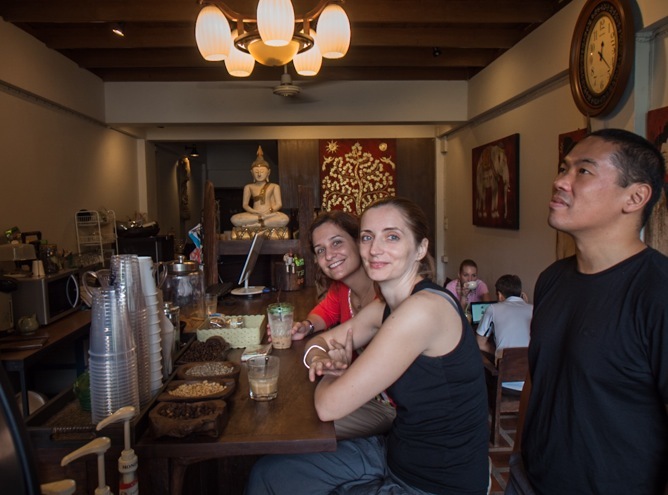 We stayed long enough to try different drinks, from espresso affogato over the Old Chiang Mai Cafe Latte (with sweet condensed milk) to just a straight Americano coffee. All drinks were really great – probably one of the best coffees we had during our trip. 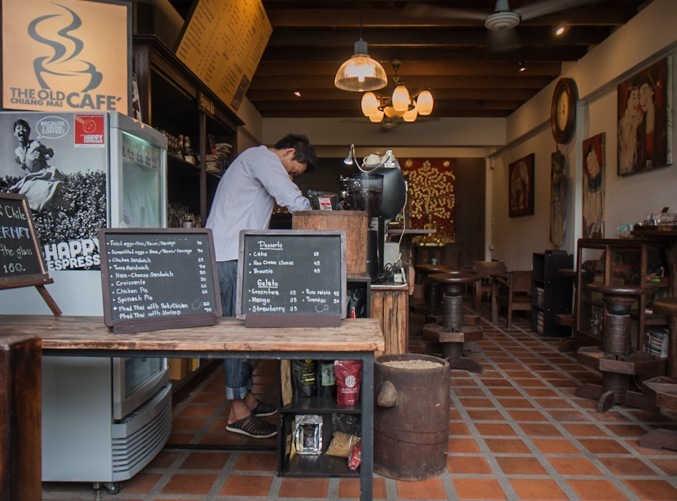 Plus the barista was full of great tips and insights about what to do in Chiang Mai and the place had free Wi-Fi – perfect to hang out for a little while, refresh our senses, before we headed out again.